McCully is visiting the Cook Islands for the last time in his official role as Foreign affairs minister. Since the early days of the John Key-led National government, McCully has been pushing for changes to pension portability to allow retiring New Zealand-based Cook Islanders, Niueans and Tokelauans greater freedom to return home earlier. Cook Islanders, Niueans and Tokelauans are currently required to live in New Zealand for five years after the age of 50 to qualify for portable superannuation or the veteran’s pension at age 65. McCully says the advice given by New Zealand Treasury that relaxing the rules would prove too costly for the country has been proven wrong. “I’ve always said when the facts are on the table, we will look at it again and the facts as we now have them have proven the representations of the prime minister (Henry Puna) and myself right and advice of the New Zealand Treasury wrong,” said McCully. McCully disclosed just 42 Cook Islanders had qualified under the new pension rules since 2013. Prime minister Henry Puna remarked that he intended to do “what any sensible PM will do, and that is help make that happen”. McCully says there won’t be a quick change. However, he hopes the facts he presents surrounding legislating full pension portability will influence his government and other political parties. McCully pointed out with 2017 being election year, he’s going to make sure the latest information proving pension portability is affordable, “goes outside of government to other political parties”. He says this is so “people can ask the candidates the questions during election and see where the debate goes from there. During his last official visit to the Cook Islands in 2015 for the 50th celebrations, former New Zealand prime minister John Key said it would be too costly for New Zealand to reduce the five-year residency requirement for people from the Cook Islands, Tokelau and Niue. Describing McCully as “a gentleman who is very much a friend of the Cook Islands”, Puna paid tribute to the outgoing cabinet minister who completes his term on 01 May this year. Puna named several major Cook Islands projects McCully had been instrumental in seeing completed, including establishing solar farms in the northern islands, injecting financial assistance into the “dying” pearl industry and Te Mato Vai project. The laying of the marine cable to improve broadband and the Muri sanitation programme are McCully’s final two projects for the Cook Islands. Asked what he believed to be his greatest achievement in the Cook Islands as New Zealand Foreign Affairs minister, McCully said it was having the portfolio which saw him spearheading the New Zealand side of a “tremendous partnership and relationship” with the Cook Islands. Asked what his ambitions were after leaving office, the New Zealand minister said it would be to beat PM Puna on the golf course. 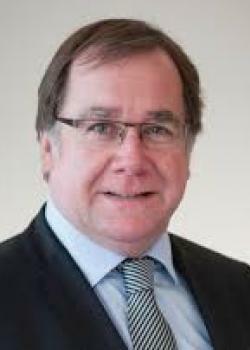 McCully is expected to leave Rarotonga Thursday.